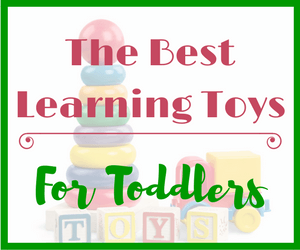 Seeme & Liz > Learning Toys (0-2 year olds) > 10 Fun Bath Toys Toddlers And Parents Will Love! Pretty much anything that can go into water can also double as bath toys toddlers will love. For most toddlers, bath time is an enjoyable event; however for some, being in the bath can be quite traumatic. If your child is not a fan of the bath then having some fun and interesting water toys nearby can turn this routine into something enjoyable. 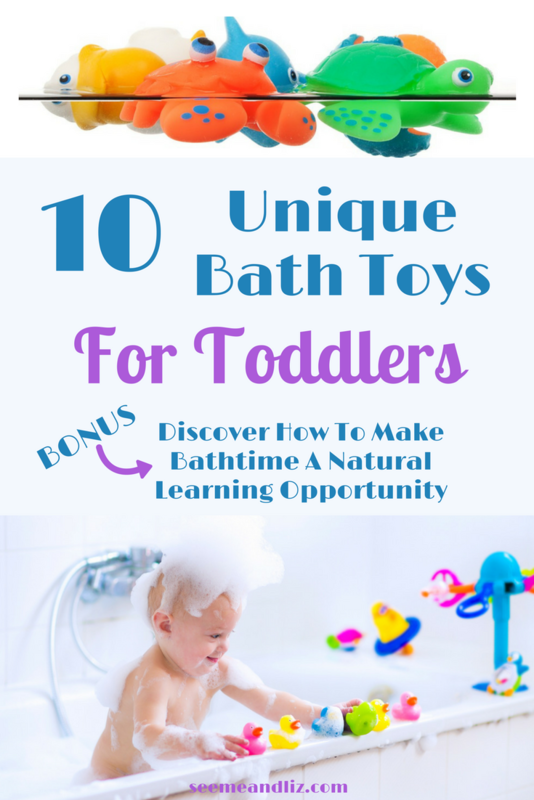 Assuming that you don’t want to run around the house trying to find items you can use in the water, check out these 10 Cool Bath Toys for Toddlers I have discovered! Actually, there are only 8 as 2 of the “toys” are storage containers. 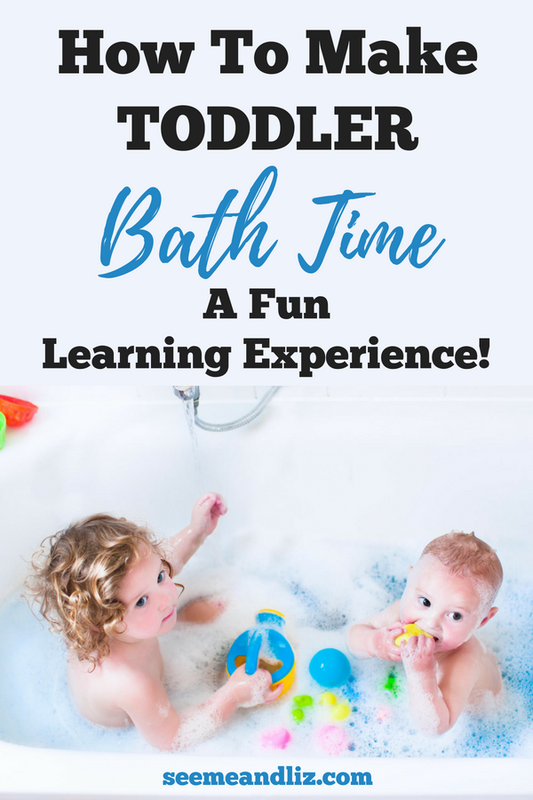 Bath time is a great routine where you can focus on your toddler’s (1-3 year old’s for the purpose of this article) language development and learning through play. 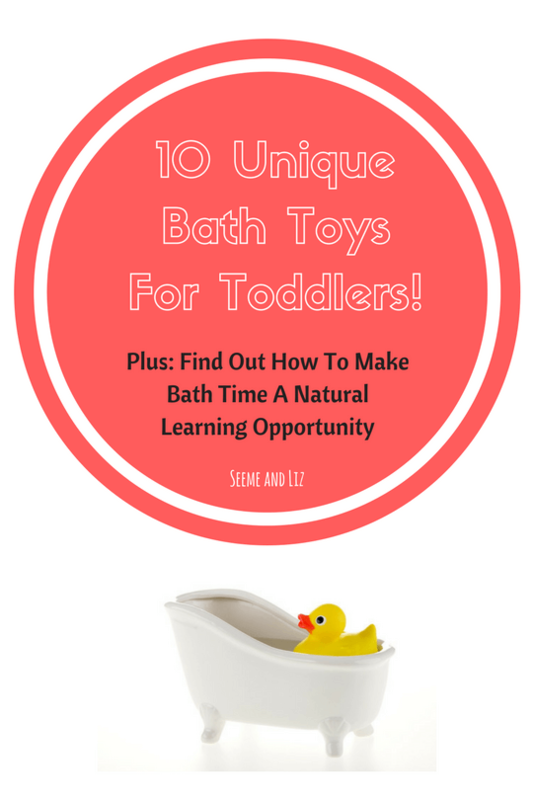 Before getting in to the toys, let’s take a look at some general language and learning tips that can be incorporated into your toddlers bath time routine. Head, hair, eyes, nose, mouth, shoulders, arms, legs, hands, feet, tummy. Splash, pour, dump, sit, spill, etc. Pajamas, shirt, pants, dress, underwear/diaper, socks, etc. Duck, fish, turtle, boat, plane, etc. (label each toy, whatever it may be). Count all of the toys that are in the bath, or count fingers and toes. Talk about the colors of the different toys. But remember, keep it natural. Bath time is not supposed to be school work. If your child is reaching for the duck you could say “I see the yellow duck”. Talk about what is happening first, next and last. For example, first let’s wash your hair, next it’s time to play in the bath, last it’s time to get out and dry off. 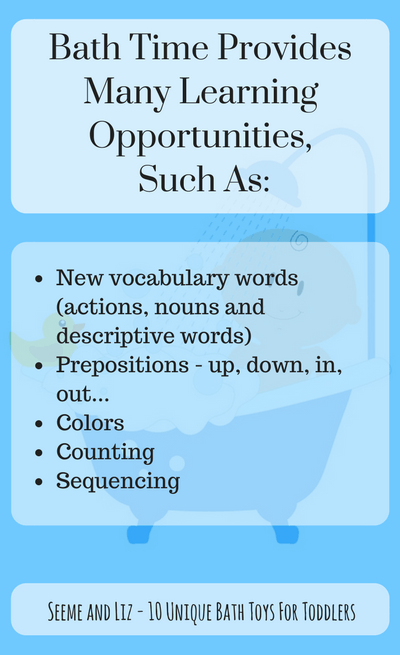 If your toddler already has a good grasp of single words, encourage combining words into 2-3 word phrases. For example “I see _______” and talk about things you see in the bathtub. Describe what is happening. If your child labels something with one word, add another word or 2. Children learn from example and you are your child’s best teacher! 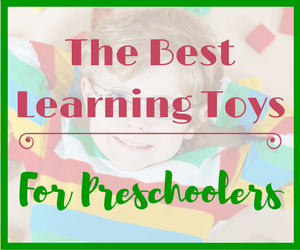 Water Toys For Toddlers Allow For Even More Language & Learning Opportunities! 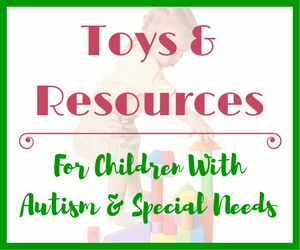 Each toy will bring with it unique opportunities to learn new vocabulary. 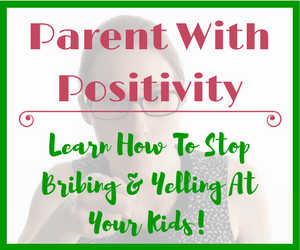 Children need to hear a word thousands of times before they will start using that word regularly in their own speech. So although you may feel like a broken record constantly repeating yourself, your toddler is learning so much. But keep in mind that your child is now old enough to hear correct grammar and real words. 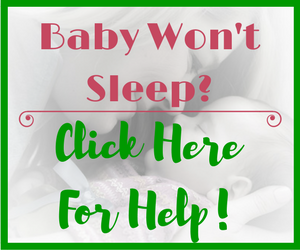 Try to limit the baby talk as much as possible. If you are using baby sign language with your little one, this is a great time to introduce new signs and spoken words when talking about new vocabulary words. Bath time is also ideal to work on motor skills such as grasping and throwing as well as hand eye coordination. As you can see there are many opportunities for language development and learning during a routine activity such as a bath. However, to make it even more fun, you can get some exciting bath toys your toddler will love! 10 Bath Toys Toddlers Will Jump In The Bath For! Eco-friendly, certified BPA free, lead free and phthalate free. Many vocabulary and story telling options – princess, carriage, tree, rabbit, castle, etc. Squirters are susceptible to mold/mildew as water can stay trapped inside (my kids love squrit toys in the tub. I make sure to look at them every once in a while to check for mold. If I see some, then they get thrown out and replaced. Make sure you try to squeeze out as much water as possible after the bath has ended). Many language opportunities – fish, whale, octopus, captain, boat, colors, catch a fish, comb, brush, pour, dump, etc. Not ideal for children under 1 as they can get their fingers stuck in the boat. The hook could come off of the fishing rod and pose a potential choking hazard. Great for transportation based vocabulary – car, boat, ferry, ramp, colors, float, up, down, etc. 3 and up (as recommended by manufacturer) – This toy would probably be fine for 2 year olds. If you purchase the boy doll it may come in a girl themed box. Interactive – squeeze the trigger and watch water come out of the sprayer. Spray the water onto the items stuck to the side of the tub and watch more water come out. Can be used both in and out of the water. Would also work well with a play kitchen! Introduce food related vocabulary: carrot, tomato, pumpkin, etc. There aren’t really any – it’s a simple, straightforward bath toy! Cute shark design that little ones love! There really aren’t any. If you keep this product for many years, I am sure the suction cups will eventually wear out. That’s it for my Top 10 List of Bath Toys Toddlers Will Love. With so many bath tub toys on the market it really is hard trying to choose the perfect ones. 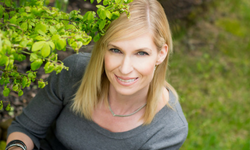 I hope that this list has helped you find something that will work for you and your family. If you have any of these products let me know what you think of them. Or if you feel I have missed some let me know! Share your thoughts in the comments below. I love this site very colorful and just pack with useful information. Bath time is a very important learning time with our children and it’s the best time to get their full attention. My daughter just loves the princess set we use it every day. Thank you for the information there are a few suggestion you mentioned that I will be adding to my child’s bath time. You’re welcome Christine. I am glad to hear your daughter loves the princess bath toy set! What a great article! Bathtime is sometimes enjoyable and sometimes traumatic. I like to bathe my boys before they get too tired. That helps a lot. You definitely have a good selection of toys. I think the foam ones are the ones that my oldest son enjoyed most when he was a little younger. He is only 3 now. He loved to put the foam ones onto the bathtub and play with them. I really like how you mentioned mold. I have not been able to do something about it. You just exchange them for new toys, and that seems to me the best solution to it. Toys can definitely help make the bath time experience more enjoyable for kids who don’t like the water. My kids are 8 and 10 now and they still have the foam bath tub toys and use them pretty regularly. They also recently dug up our old Lego Duplo blocks and they have found their way to the bath tub! Mold is an issue with many bath toys, but unfortunately the only real solution is replacing old bath toys that can hold water. I agree bathtimes are so special and are great for learning too. I love these toys and my little girl will love the cooking set. My one concern would be how easy is it to drain the water out of the toys? Yes, mold is definitely an issue with many bath toys. The salt and pepper shaker in the cooking set can get mold if not drained properly. I always squeeze out the kids bath toys and turn them upside down. And replace them if I feel they may not be clean anymore. Unfortunately, the Little Tikes Bath Stew doesn’t seem to be available anymore. So I will be changing this product. I also really loved your toy suggestions! Great post and I enjoyed reading! Thanks for your comment. I am happy to hear that you enjoyed the post and found it helpful. You have laid out a great article relating to bath toys for babies. It relates to people like me who are planning to start a family & these cute toys will surely be helpful. I have seen many reviews for toys like these & they all aim at getting my cash for senseless descriptions on the products. Great to see you listing down the pros & cons. Thanks for your comment! There are so many bath toys available for babies and toddlers. And like you said most descriptions are quite generic. 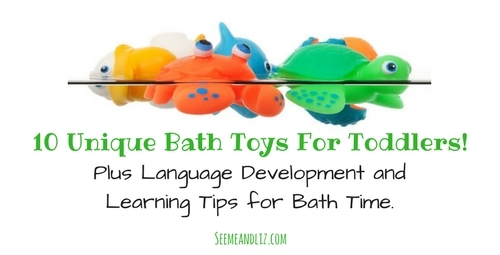 I want to show parents that these cool bath toys can actually be great for language development and learning! All of these bath toys look so fun! I’m not quite ready to be a mom yet, but I am very excited for those days. For many reasons of course, but one of them is bath time! I love bath time with the boys I babysit, as it is always fun to see them play with their toys (and sometimes play with them). You have so many great suggestions here, thanks for sharing! Hi Rachel, thanks for your comment. Bath time can either be a lot of fun for a toddler or it can be something they fear. However, having some cool bath toys around can make the experience much more pleasant! Great selection of bath toys, with pros and cons each time, in order to make an educated choice. I especially like the fishing toy. I’ve got one of these and my 3-year old girl has lots of fun with it! These toys are particularly useful when the child doesn’t want to go to bath! It makes this moment much more fun! Thanks David! There really are so many fun bath toys toddlers will enjoy. But some aren’t the best quality. Some are also better than others from a learning perspective. I am glad to hear that your daughter loves her fishing toy. I think fishing bath toys are always a hit in the bathtub! You can’t go wrong with those. Ok, some of these are actually really cool! 🙂 I’ve got a 2 year old, and toys are about the only way I can keep him from making the bathroom look like the pacific ocean (splashing everywhere!) Might have to give some of these a try. Have you used any of these one personally? Whats the quality like? I think some of these bath toys will be a hit for your two year old! However, unfortunately splashing will always happen. My kids always bathed together so there were always puddles of water on the floor. But toys do help a lot. I have toys from “Green Toys” and “B,Fish”. Both companies provide high quality products. I have not specifically used the 2 bath toys in this article by these companies though. But, since my kids have other toys from them I know that they are good. I can’t see why the bath toys would be any different. We also have some of the ALEX brand toys and we like them. We had an ALEX bath toy set when my kids were younger and they loved it, but it was not the Princess Rub a Dub in the Tub one.